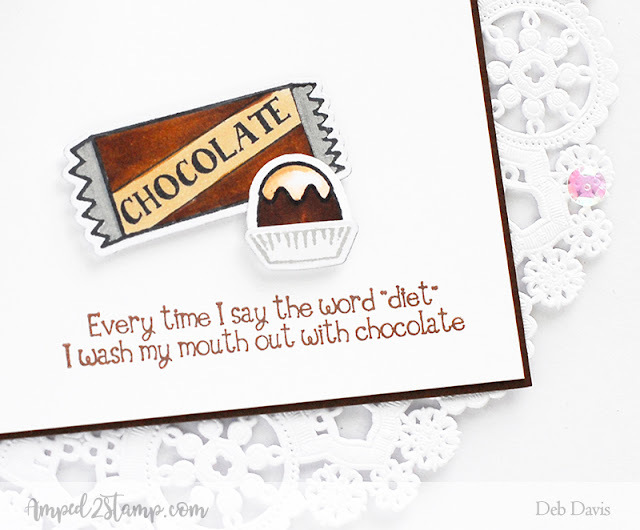 DIET is a four letter word that you must wash your mouth out after saying to teach yourself a good lesson! 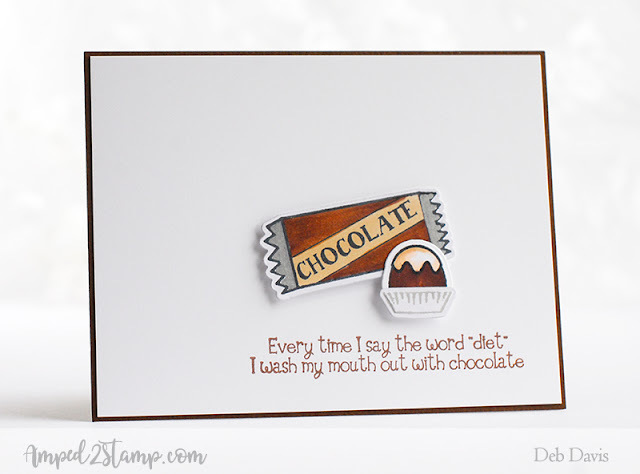 And for today's post, I have for you a zero calorie, clean and simple Crazy for Chocolate card for your enjoyment. The sentiment was stamped with Versafine Vintage Sepia (IMHO - versafine ink is the absolute best ink for fine detail and sentiments). 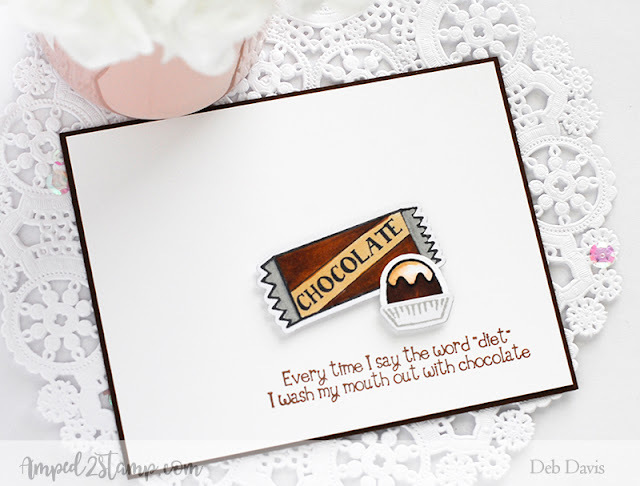 I used a silver Sharpie on the candy wrapper "foil" and mounted everything onto an, ummm, chocolate colored card base. 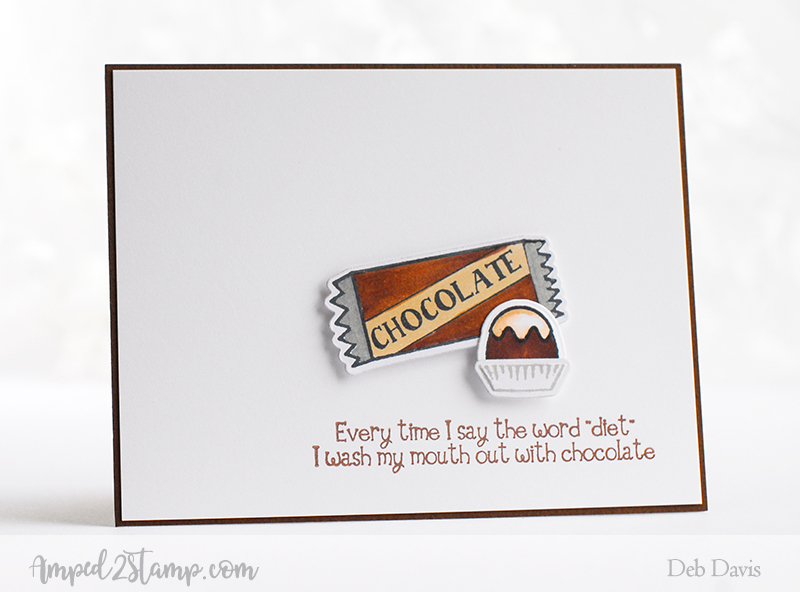 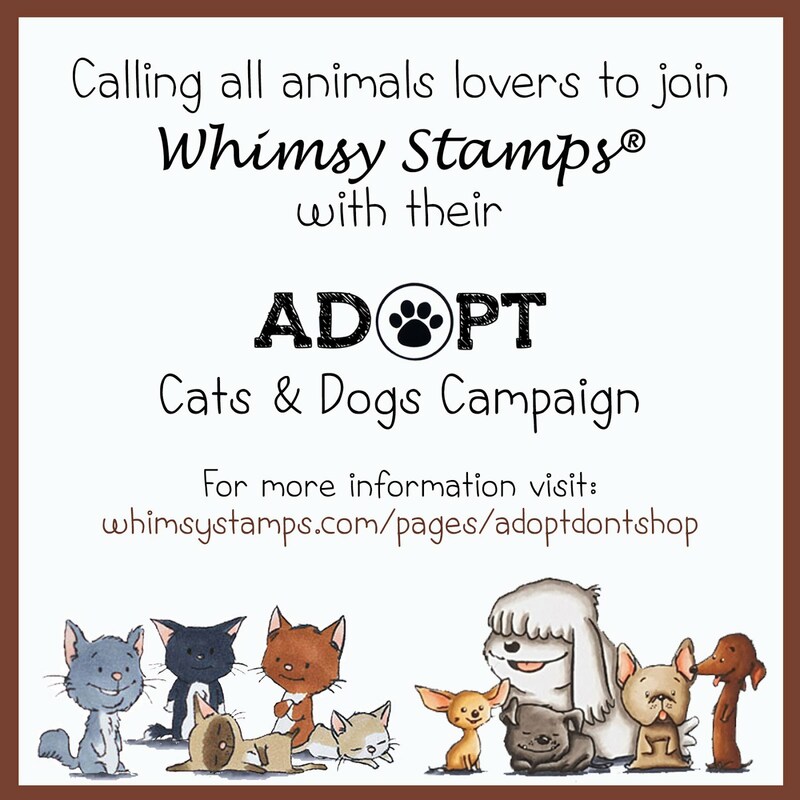 BTW, both the Crazy for Chocolate stamp set and die set are on sale right now for a limited time.